to wear this sf design flight suit. 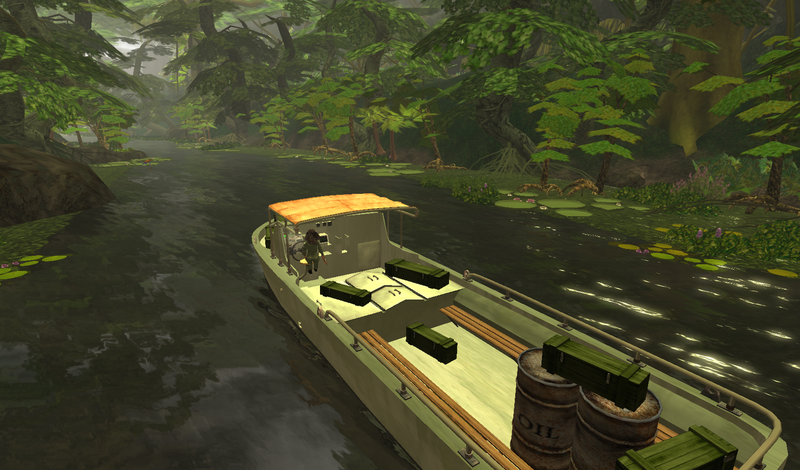 In case you haven’t already heard, Linden Lab’s has opened a new Premium adventure into an Amazonian region. It’s called the Second Life Wilderness. I’ve been reading all kinds of things about the new region and most of the comments and post have been critical and very critical, a few with a positive slant. 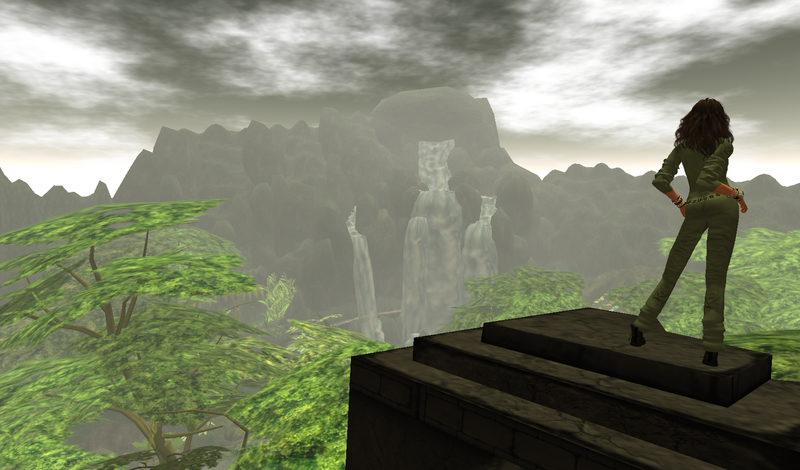 Hey, everything in SL is about Point of View (POV) but I was surprise how few critics could see the potential value this region has, if not for themselves then, for new residents. Sounds kinds bleak already, no? So, dispite all I’ve read I wanted to experience this wilderness for myself. And I didn’t want to experience it as a reviewer or critic, I just wanted to enjoy the place. I’d seen some really fun looking photos and vids, and I’m a wilderness explorer kinda girl, so I had no trouble adjusting my attitude. I even dressed for the occasion, kinda rp’ing a downed airplane pilot (well, with nice jewelry). climbed endless stairs that led to this spot. And there, I saw a guy in a helo. I waved but he didn’t see me. 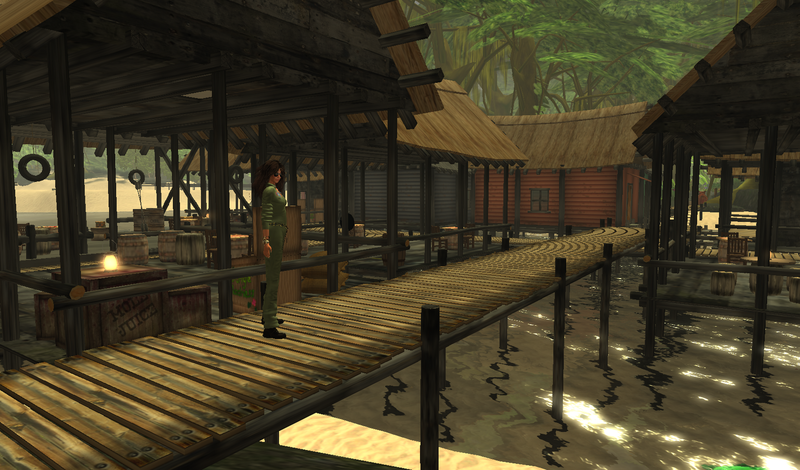 through jungle from trading post to trading post. to meet up and chat and relax. I found many exhilerating spots to take in beauty. I’ve saved the best shot for my Flickr Photostream. Ok, here’s the 411 on my experience: I had fun. I didn’t have to try. I don’t know where I went. I don’t know where I ended up. But I enjoyed the exploring and there were some very beautiful spots in that jungle wilderness. And I could easily see this as a fun place to meet new people. When I joined SL almost five years ago (I bought a premium account, btw), I hadn’t played vid games in several years. I knew about arrow keys to move and I was able to figure out the menu system, but I was lost. I was fashionably challenged and had no idea where to go. I have vivid recollections of being dropped in those vapid (great choice of words from Tateru) “Welcome Areas” and my sense of being lost was compounded by a sense that SL is a pretty hostile place. So, I have little difficulty in conjuring up the past or visualizing the delight I would have found if I’d been dropped into this Wilderness. So I say, good job Linden Lab and please take the time to read my observations on things that need fixing (hopefully later today). But here’s this, if you aren’t already a premium account member, I don’t think this region alone is a reason to upgrade. Notice: if anyone decides I’m a shill for the Lab, you need to read posts I’ve written where I’ve lambasted the Lab and even some former employees. The Lab has made a lot of awful moves in the past, but I continue to be impressed with the overall movement forward. 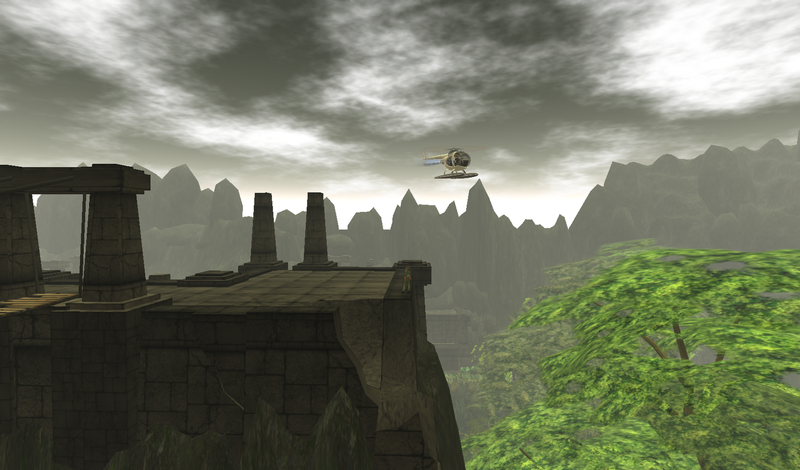 This entry was posted in Exploring and tagged Exploring, Linden Lab, Photography, Second Life. Bookmark the permalink. I try to explore things before reading about them. Otherwise its very easy to be influenced by what people are writing. I want to explore with an open mind. And I make up my own opinion regardles of the common opinion =)Glad u had fun! Yours was one of the few posts I read that had a positive, inquisitive point of view. I don't know why others jumped on this so hard.